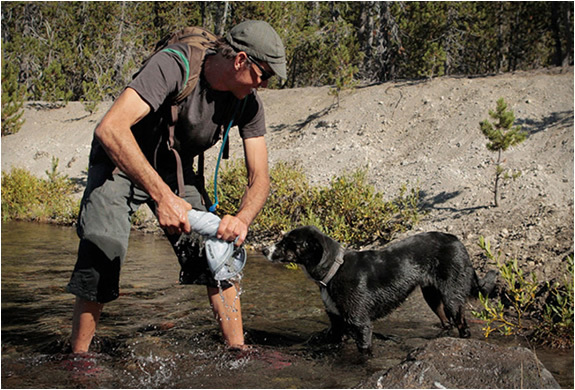 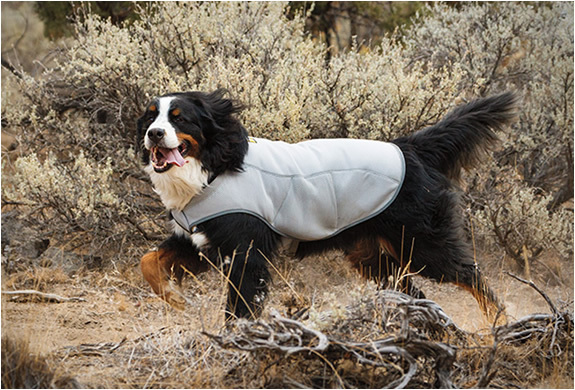 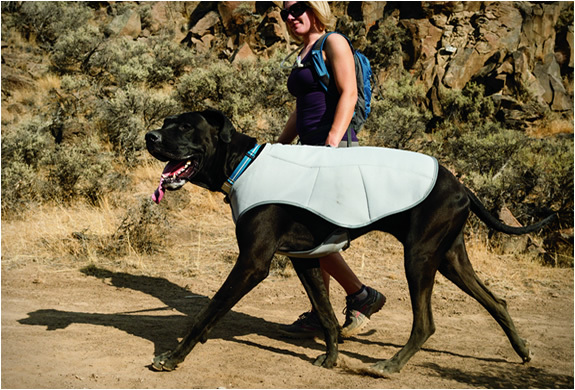 When taking your fury friends on your backcountry adventures you can now help them beat the heat with this innovative cooling vest by Ruffwear. 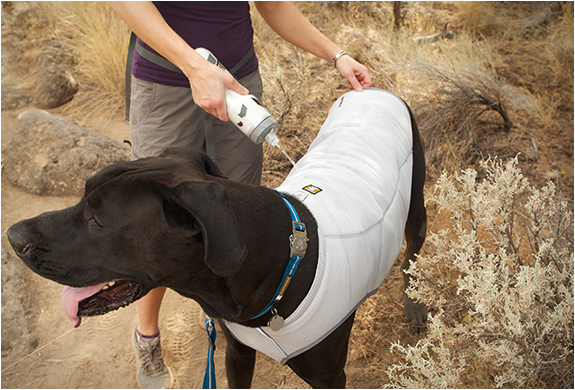 All you need to do is get the "Swamp Cooler" wet in cold water, wring it out, and fasten it on your dog. 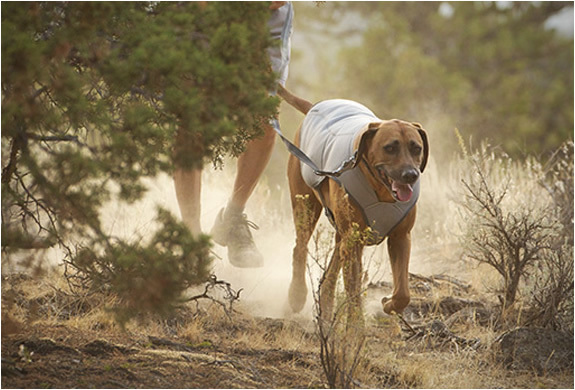 The cooling vest also reflects sunlight and ultraviolet rays for added sun protection.